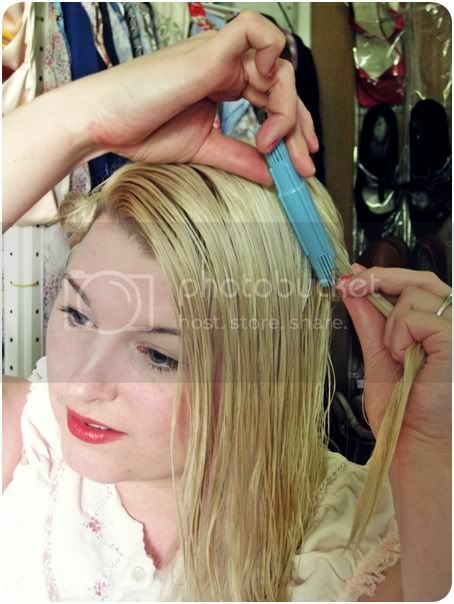 Choose small or large curls and insert the pin curler at the scalp. Stay tuned tomorrow to see my Rita Hayworth pin curl set using the Sculpture Pin Curler! YYYYYYYYEEEEEEEEEEEESSSSSSSSSSS! i cant wait for the Rita hair! I've been thinking about getting one of those. It's kind of funny. 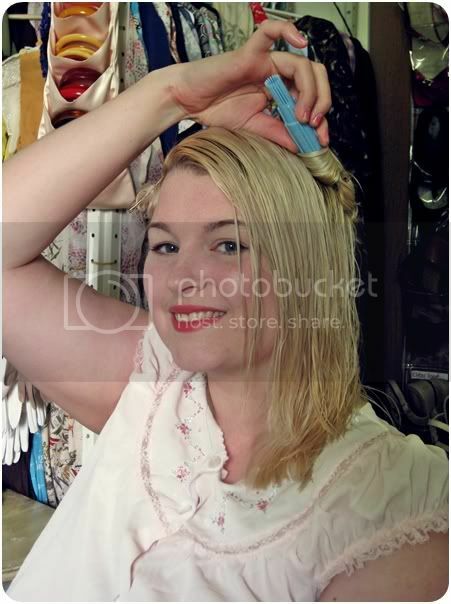 Before i even knew about it i was using a mascara tube so that my pin curls would be consistant in size. Ooh! Although I am confused as I didn't see where you reviewed it yesterday. lol I'm intrigued by this little device. 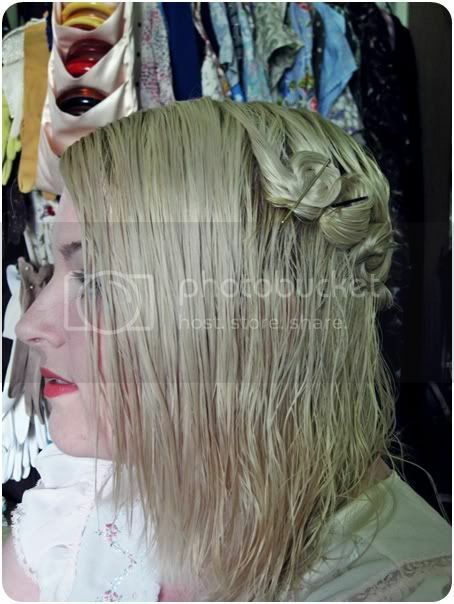 I never do pin curls except occasionally on the shorted top layer of hair. Like Beth I've used a mascara tube, as I'm all thumbs at forming them by hand. Can't wait to see the Rita hair! So beyond excited for Rita hair! I haven't quite mastered pincurls yet. I don't really have the patience. I usually just use hot sticks. Haha! Silly me, I accidentally scheduled this one to post before my review post! :p Rita hair will still come tomorrow followed by the review this weekend. Kinda backwards but oh well! Terrific how-to, sweet Brittany. I tend to use rag curls more than pin curls, but that's only because my pesky nickel allergy can turn all those bobby pins against my scalp into something of a nightmare. That said, I do do them sometimes, and would definitely give this handy tool a spin if I got the chance. Wishing you a thoroughly stellar weekend! I saw your post and instantly wanted this magic device. I live in Belgium so I wanted to see how much the postage was. I had 2 choices $12,50 or $79,50. I guess with the first option it will arrive after 6 months and the second option is just plain silly. I've just checked for you. $12.50 is for airmail which is 3-10 days shipping. the $79.50 is for super fast express post only. Ever since I read this post a week or so ago, I haven't been able to stop thinking about the tool! I'm going to break down and get it, I have a feeling. I'm not very good at creating the rolls by hand, so I'd been using foam rollers to achieve the look, but it's so much more uncomfortable than sleeping on bobby pins! Thanks for calling attention to such a useful tool!